You probably want a reliable and trusted Solihull Locksmith who will attend your property as fast as possible and offer the best quotes for the work . You’ll also want a Solihull Locksmith who has years of experience and uses the latest techniques that cause the least damage to your property. A Solihull Locksmith who gains access in minutes and rarely will need to pass one hour on a simple lock out situation. If all of these statements are true then you are on the right page. Birmingham Locksmiths offer all of the above with fantastic customer service and a smile. Peter Phillips is the Locksmiths Solihull you’re looking for! 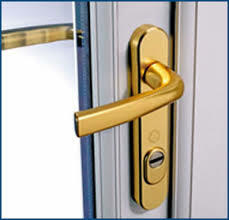 At Locksmith Solihull we take only the best care of our customers. We understand that our customers are people, individuals, with full busy lives and busy schedules. Which is why Locksmith Solihull aim to make sure that anyone who comes to us with a question or query of any type are met with a friendly understanding and human attitude. Of course the team here at Locksmith Solihull come with the highest training and expertise, but it’s training alone is not what makes a good service, taking each customer into account, looking at their situation and their specific need is something Locksmith Solihull take pride in doing. We provide a full service, not only in terms of the technicality and installation of the latest and best products on the security market, but we take care of our customers on a personal and individual level. Locksmith Solihull takes into account that every situation is different, and no matter the service you are in need of we will make sure that you are safe, sound and satisfied at the end of your experience with us. So if there is anything at all that you are looking to seek advice on, looking to install, or upgrade please get in touch with us. Locksmith Solihull can advice you with regards to any type of query you might have on locks, key cutting or security in general, regardless if you are a private or a commercial customer. So if there is anything at all you need, please get in touch today! Peter Phillips has many years of experience in the Birmingham area and there’s not a single lock or key problem that can’t be solved. If you want a true professional at the right price then call now. Choosing a Locksmith in Solihull is not always easy, especially at the last moment so you know you’re in safe hands when dealing with a Solihull Locksmith who has years of experience and years of happy customers who will all too happily recommend. Don’t take a chance and go with the unknown. Go with a Solihull Locksmith who has a solid reputation and hundreds of happy customers. When you’re looking for a local Solihull Locksmith you will want a genuine local locksmith who knows the area and works as an independent so there’s no middle man to pay and the savings can be passed on to you. That is why calling us will take you straight to Peter Phillips, your local Solihull locksmith. No VAT to pay. Small local business. First class results. If this is what you’re looking for then get in contact now. One of our specialties at as professional Locksmiths Solihull is the repair and replacement of all aspects of UPVC doors and windows. So much cheaper to do a quality repair we find that many Locksmiths Solihull customers contact us to carry out routine and emergency repairs. We can repair and replace any aspect of doors and windows and as experienced Locksmiths Solihull we carry many replacement parts and mechanisms so the job can be carried out in no time at all. 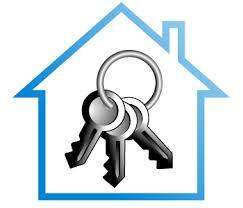 Make sure you contact us as your first choice Locksmiths Solihull for all UPVC work. Free quotes happily provided.